Governor Charlie Baker signed into law Monday a bill that will mandate many Massachusetts women receive free access to contraceptives — a direct response to President Trump’s efforts to roll back coverage. 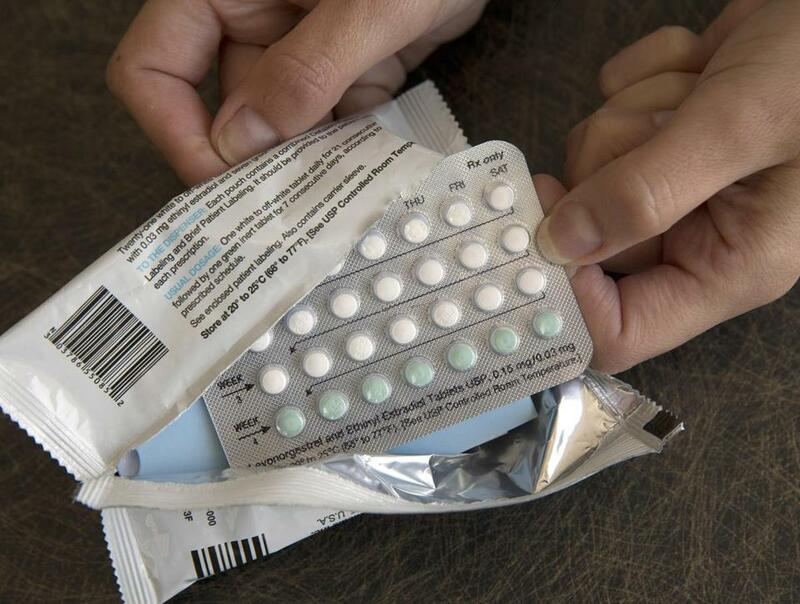 The bill, which the state House and Senate passed overwhelmingly, will require health insurance in Massachusetts to cover most contraceptive drugs, devices, and products without a copay — that is, at no direct cost to the women getting them. “This is a great day in the Commonwealth of Mass.,” Baker said after signing the bill into law, surrounded by top Democratic leaders in the state including Attorney General Maura T. Healey, Senate President Stanley C. Rosenberg, and House Speaker Robert A. DeLeo. The mandate will cover a 12-month supply of prescription contraception after a 3-month trial, emergency contraception, and voluntary female sterilization procedures. It will not cover condoms. The legal language includes an exemption for insurance policies purchased by a church or church-controlled organization. The legislation’s passage followed an executive order by President Trump that tweaks the Obamacare rules. It allows more employers to opt out of providing coverage for birth control to women by claiming religious or moral objections. Under Obamacare, also known as the Affordable Care Act, many women no longer pay for contraceptives. The Massachusetts law, which will go into effect in six months, goes further than the national law in some respects. For example, it mandates coverage of over-the-counter emergency contraception at pharmacies without a copayment. The federal mandate only required copay-free emergency contraception with a prescription. “This is about the fact that every woman should have access to affordable and reliable basic health preventative services, including birth control. And this bill takes an important step toward insuring that,” Healey said at the signing ceremony at the State House. The bill has garnered praise from groups such as the advocacy arm of the state’s Planned Parenthood organization. But it has drawn opprobrium from a Catholic group, the Catholic Action League of Massachusetts. “This coercive and gratuitous measure is about ideology, not health care,” the league’s executive director, C. J. Doyle, said in an email. It means that those have moral objections to contraceptives and sterilization procedures “will be compelled, in violation of their consciences, to subsidize, at an expanded level, procedures and practices which they find abhorrent,” Doyle said. An analysis of the legislation released by the state’s Center for Health Information and Analysis found the law would likely increase premiums by a very small amount, about four-one-hundredths of one percent over the next five years. Almost all Massachusetts residents are covered by health insurance. But the new law will not apply to all insurance coverage in the state. It covers traditional health plans offered by employers who pay a premium to an insurance carrier, and the state Group Insurance Commission, an agency that administers health benefits to public employees and their families. It also covers MassHealth, the state’s Medicaid program for the poor and disabled. But the new law will not apply to self-insured employers, usually larger companies, that assume the financial risk of providing health care benefits to their employees. Many in Massachusetts are insured that way, limiting the scope of the law. Still, said Dr. Jennifer Childs-Roshak, who leads the Planned Parenthood League of Massachusetts, she anticipates self-insured employers to follow the same policies, which she said are broadly supported by Massachusetts residents. Not covering contraceptives, “I would expect, in the state of Massachusetts, it would be not a great business move to choose to do that,” Childs-Roshak told the Globe. Baker — a Republican who supports abortion rights, gay marriage, and signed a law to allow people to use the restrooms and locker rooms that match their gender identity — is expected to run for re-election next year. Material from the he Associated Press was used in this report. Joshua Miller can be reached at joshua.miller@globe.com.